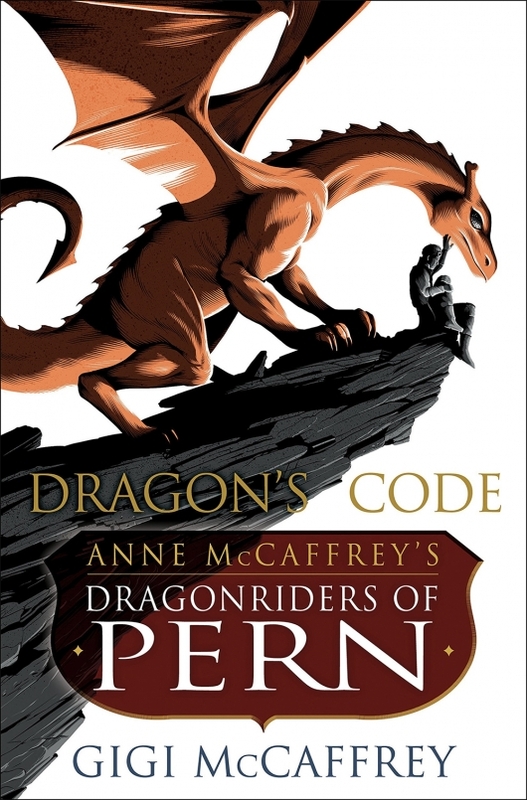 Anne McCaffrey’s Dragonriders of Pern books were, beyond a doubt, extremely influential to me and others as a source of world building and empathetic writing. My first foray into the world of Pern was The White Dragon, the pivotal third book that resonated deeply with me. I will not claim to have read everything in the series, but I consumed them year after year as they released, with few exceptions. Therefore, I was elated when I discovered Gigi McCaffrey, daughter of the legendary wordsmith herself, was writing a new book. In fact, Dragon’s Code, as it was titled, was to be a new expansion on this previously massive universe of man, dragon, and threat. A new generation of readers could potentially experience what I did! But I fear that is not to be. 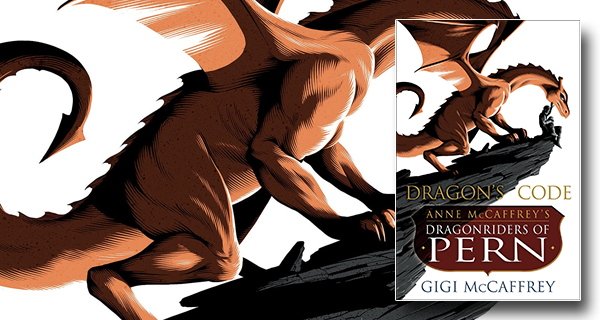 So many amazing characters have emerged over the years from the distant world of Pern. If you are a long time fan, then you know that not everything was always perfect, but for the most part, I love the setting, the tales, and the twists that helped bridge it all together, including through time! But sometimes, regardless of our love for something, we must let it go. In my opinion, this is just such a case. While the author may have learned alongside her mother, even helping to write a few short stories with her, there is something missing. Something integral to storytelling. I endured more than two hundred pages of bland writing. I have no doubt that the protagonist, Piemur, could be a spectacularly well-developed character but in this book, he is not. He falls flat, time and again. I never did bond with him, I was never sympathetic to his plight. In fact, I was more often than not just plain disengaged. I am a firm believer in introspection for characters, allowing the reader to understand the story of person that much better. But here it felt whiny, almost early Luke Skywalker-ish, if you get my meaning. Okay, so I poked at the parts I disliked, so I will say that the concept was a good one. A rift between the peoples with a wedge being driven ever deeper by those seeking financial and political gain hit a little close to home for me right now. A voice in the crowd trying to get people to understand that we must help each other to survive, that also struck a note with me. For you see, it was not the content that was off putting to me, but rather the delivery. The dialogue seemed forced and unnatural, the situations overly fantastic. And yes, I am aware that dragons are fantasy-based creatures, but some semblance of reality must be injected for anyone to feel something is plausible, even while suspending disbelief. Probably the nail in the coffin for me was the ending when it became obvious that this was supposed to be a feel-good novel. The final page was so over the top, young adult-oriented that I was actually relieved that the book was finished. I hope that McCaffrey the Younger will further develop her writing skills for, as I said earlier, she has an excellent grasp of plot, but her vision did not present itself so well on the printed page. In short, I would not suggest this to anyone unfamiliar with Pern. In fact, I would only recommend this to diehard fans and then with knowledge that this is not a thrilling novel by any means.